Asec Security have added to their already extensive range of Nightlatch locks with a Roller Bolt. Roller bolt night latch locks are often found on flats and apartments when the door is fitted with an automatic door closer. The simple push pull action that is associated with a roller bolt stops the possibility of an accidental lock out. When in the unlocked position, the door is easily pulled open or pushed closed, the door is then secured and locked with a turn of the key on the outside or by turning the inside handle to extend the bolt fully into the keep. The new lock from Asec is available with a brass 5 pin rim cylinder, or case only. 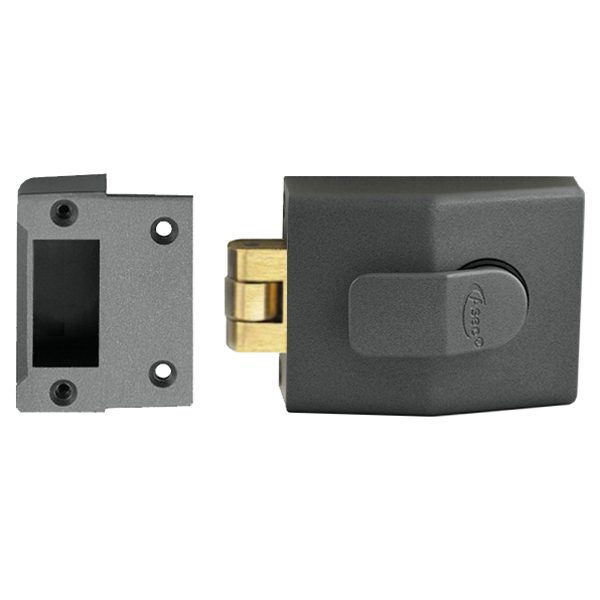 The lock has fairly standard measurement for a nightlatch, with a 60mm backset and a 92mm case width, the lock is suitable for doors of thickness between 35-60mm.